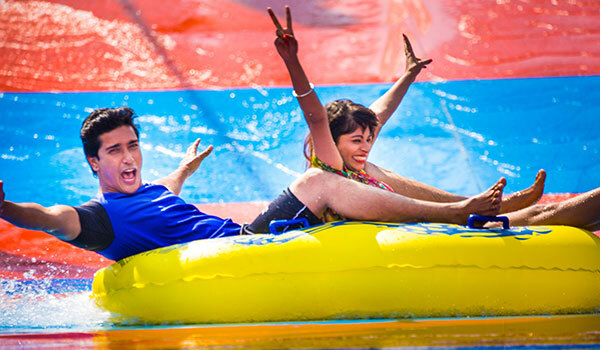 Our 260 feet long Loop Racer Rider takes you up to 40 feet high and drops you face down as you slide on a matt into a circular tube and then straight down uphill and downhill at speeds up to 50 km per hour. 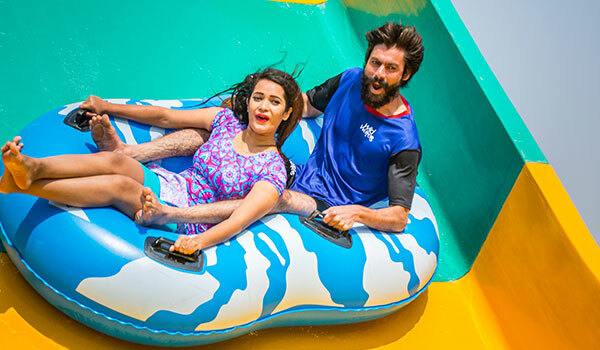 You get on to a 2seater tubes and slide into a closed tunnel and then plummet into a giant cone shaped funnel at speeds of over 45 km per hour with four or five near vertical spins. 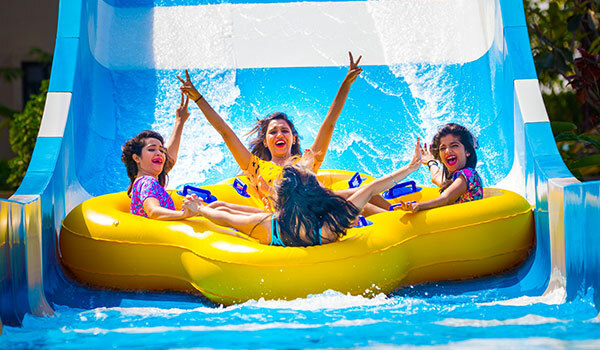 Sitting on a 2seater tube, the float moves through a closed tunnel and suddenly drops in to a wide pendulum U shaped slide, sliding up and down like a pendulum several times before coming to a gradual halt. 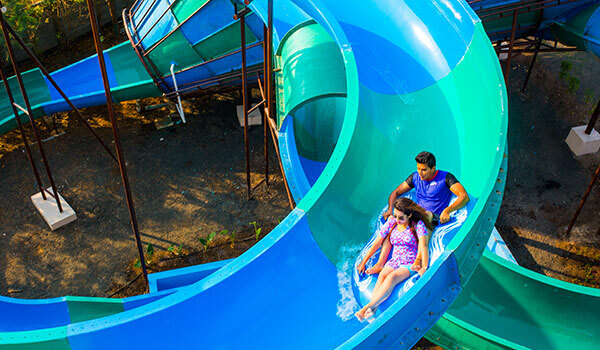 Loop Coaster is our 400 feet long open tube slide with 3 large loops of over 100 feet each, the riders sit on our 2seater tubes and float into these open slide experiencing dramatic twists, turns and drops like a roller coaster ride on water. 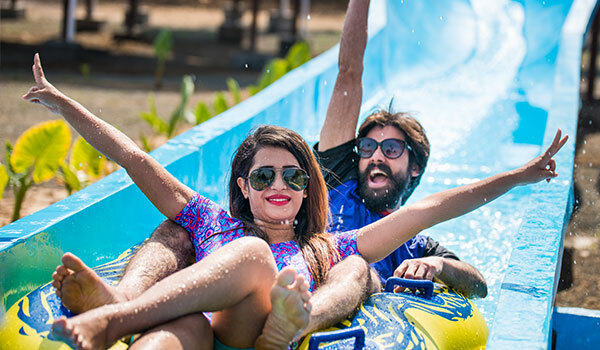 Harakiri is a 2seater float slide that takes you down uphill, downhill and sometimes gravity defying momentum and after you have reached the bottom it carries you further floating on the water tub as far as you’ll go.